Bumping this to the top, still available! I am selling my Aimpoint H1. You can read the review of it -> here <- it is the 4MOA version. I have owned it for a while and it has seen some pretty good use but it is in excellent condition. 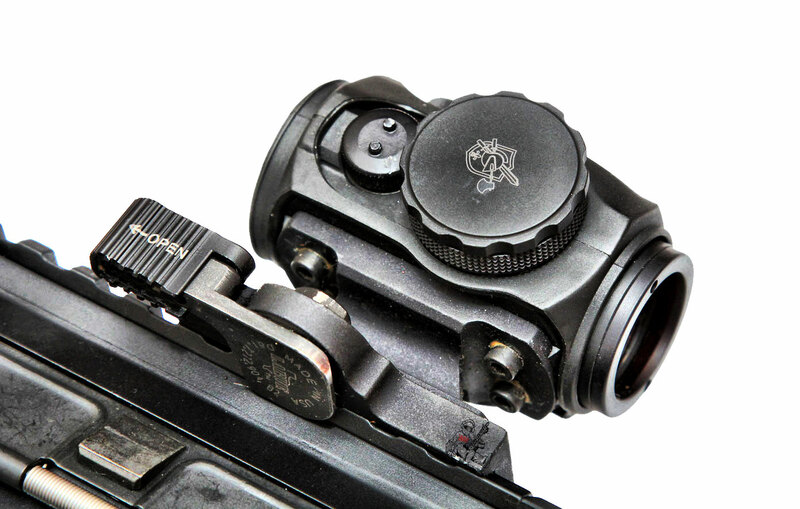 It comes with a TangoDown Rubber Cover, mounted to an LaRue LT 751 absolute co-witness mount (because, math.) and has a Knights Armament (KAC) extended battery cover. It is in perfect working condition other than some scratches and scrapes from general use. $500 is what I am looking to get for it (no trades, cash / Paypal) preferred. Inquires email me, more pix on request. Comes with original box, screws, tool and paperwork.